A recent report states close to 75% of the world’s population owns or has access to a smart device. That’s 5.3 billion people who are potential targets of mobile fraud. That’s a lot of private information to keep safe. With a new way for fraudsters to scam you out of your hard earned cash every day, it’s no surprise smart mobile use is such a popular topic these days. You follow links to the website and make your selections then proceed to your cart to check out. You input your personal info, including your email, password, first and last name, mailing address and full credit card information and click ‘Complete My Purchase’. You’ve saved yourself a little money on your lunch break so you decide to reward yourself with a larger-than-life chocolate chip cookie. You hop up to find your server—it’ll only take a moment, right? Life is grand. You’ve made a few dire mistakes which could cost you a lot of time and money in the long run. While your sweet tooth had you hunting down a little gratification, you’ve left your personal belongings at the table and your mobile device unlocked, making it all too easy for someone so swipe. Even if they weren’t interested in your personal information, mobile phones can be pretty costly to replace. The funny thing is—or not-so-funny, in this case—you’re not the only one that knows you’ve just purchased 3 bottles of Energizing Ginger body spray. While you’ve been happily shopping away, Mrs. Scam E. Fraudartist has hijacked your internet session and now knows a lot more about you than you really intended to share. Additionally, she could use this information to log in as you using unfortunately easy-to-find scamming tools and begin her new life—your life. 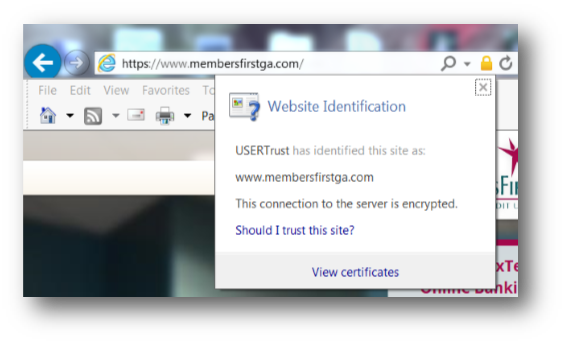 When connecting to a mobile hotspot, be sure you’re only sending information to websites that are full encrypted. There are two ways to tell if the site is secure. Never leave your computer, mobile phone or smart device unattended in a public place, especially while unlocked. The number one most common mistake made by a mobile user is bypassing the option to have a passcode/password on your device. Set one up as soon as you can, make it complex and DON’T share it. After logging into sites like Facebook, FlexTeller and other sites you may have personal information stored, be sure to log out then close your browser session. For every new way of protecting your information, it won’t be long before scammers will develop a device or system to hacking those as well. The best thing you can do is be smart with your devices and follow your instincts—if something doesn’t feel right, don’t proceed. Log out and close the browser session. The worst you could lose is a little time logging in later using a more secure site. Previous PostPrevious Meet MembersFirst… the credit union with simplicity in mind. Next PostNext Online Banking and Bill Pay–it’s just what the doctor ordered.